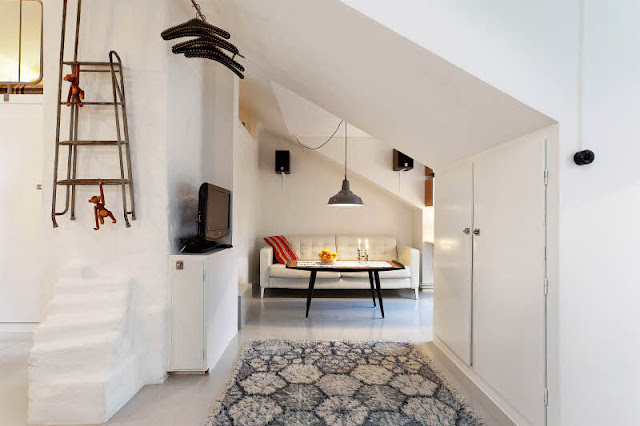 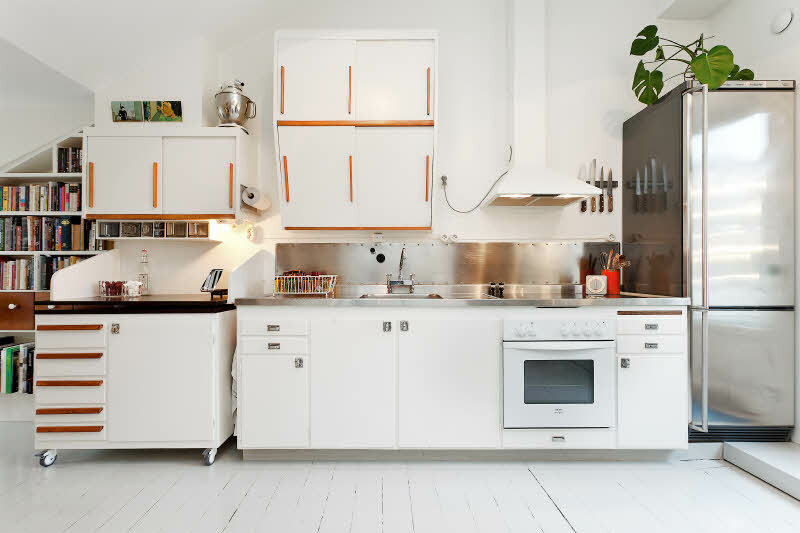 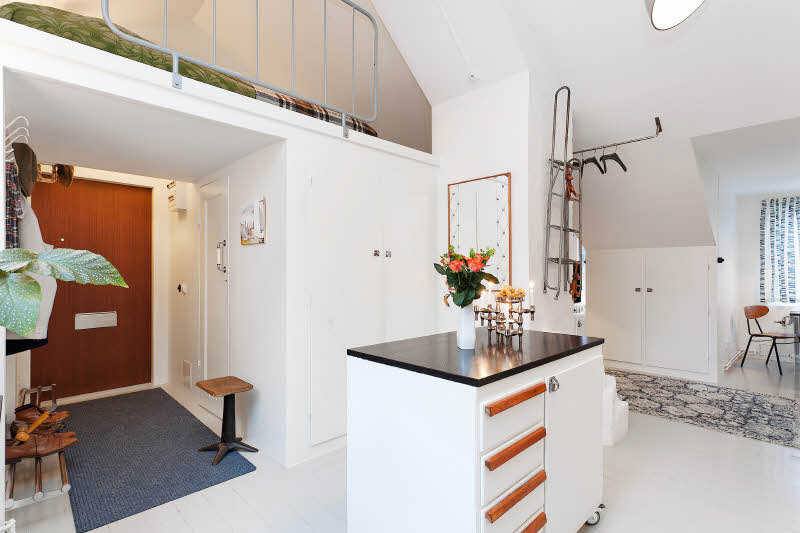 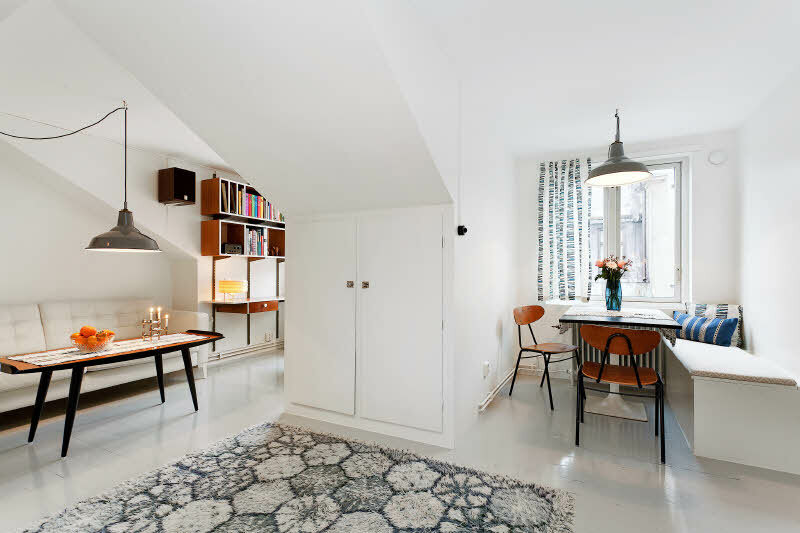 This 35 sqm flat in Sweden is a great example of how to make the most of small spaces. A white and simple base, lots of hidden storage, clearly defined areas for different functions, and smart and flexible solutions (like the loft bed or the kitchen cabinet on wheels...). 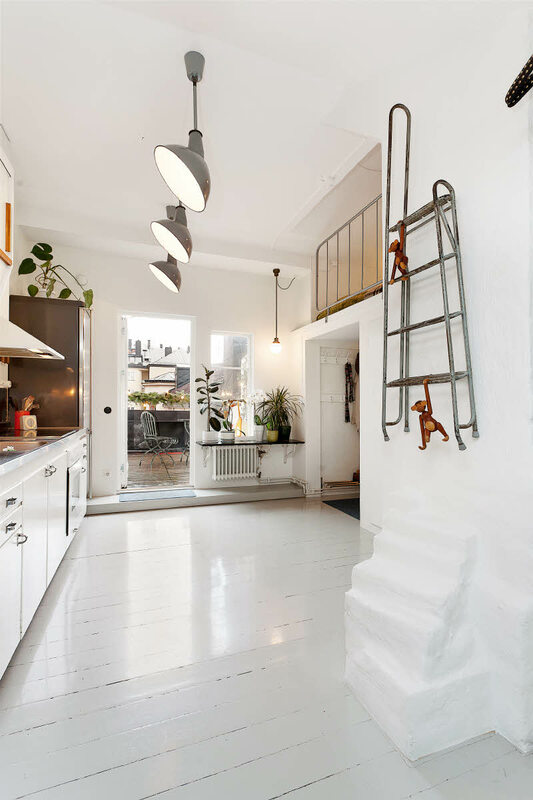 And I love how the ladder almost becomes a work of art with Kay Bojesen's wooden monkeys climbing on it!